Fortunately, there’s a clear and straightforward answer to these objections: What drives the need for visuals in a case is not the underlying subject matter. It’s your audience's need to see things as well as hear them. In effect, every case is a visual case today. So instead of wondering whether your case lends itself to litigation graphics, you should probably be asking yourself whether you are substituting your judgment about the need for visuals for your audience's core psychological needs. Remember, lawyers tend not to be visual learners themselves, while many or most jurors will be in that category. One trial lawyer said this particularly well in this short video about why litigation graphics are important. Indeed, undisputed science has long supported the importance of effective litigation graphics. I say "effective" because just because you are showing documents or showing bullet-pointed lists, that does not mean you are being effective. In fact, you're probably hurting your overall persuasiveness if your litigation graphics are in bullet point form. See our articles Still Think Persuasion is About Talking While Showing Bullet Points? and 12 Ways to SUCCESSFULLY Combine Oral and Visual Presentations. A couple of years ago, we described six studies that encourage the use of visuals to teach and persuade, noting that they worked better than the spoken word alone. We've written a lot about this subject on this blog, and our free book Using & Creating Litigation Graphics to Persuade brings that helpful content together in one place. 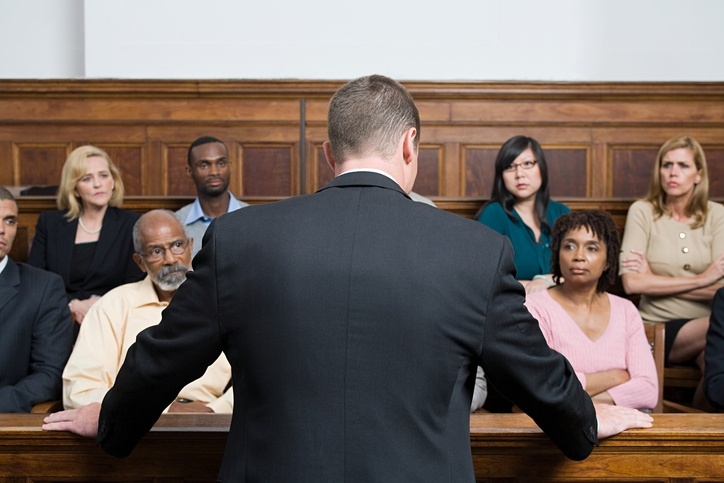 These days, jurors expect to see a carefully designed graphic presentation. I don't care whether it's documents, deposition video, or sophisticated 3-D animation. It needs to feel like it's part of a well-scripted show, not a set of bullet points or undigested notes. And that’s true regardless of the subject matter of the case.